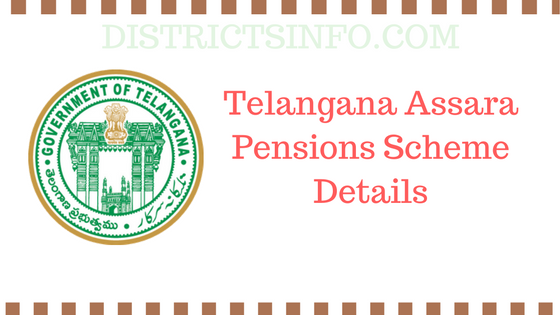 Telangana Assara Pensions Scheme Details: Telangana State aasara Pension scheme Telangana State new policies and schemes were introduced by Chief Minister KCR (kalvakuntla. Chandra shaker Rao) which was helpful for widows and old age peoples. The survey clarifies how the people are living and what are the facilities to be implemented to help people of the Telangana region. After the One Day Survey succeeded. The chief minister of Telangana State Mr.KCR as said and declared in the manifesto. 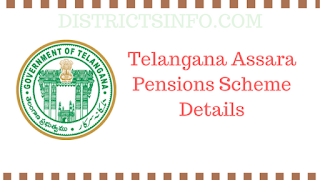 Telangana Government started EFT seva means pension amount directly transferred to their bank account. There is no need of intermediator persons. This is a good one. 1 Old Age Age 65 years and above. 2 weavers Age 50 years and above. Where the death certificate is not available a local enquiry may be made following which the death certificate as per the birth and death registration act will have to be obtained in the next three months. In case of remarriage, the Village Secretaries must certify every year that the individual has not remarried. 4 Toddy Tappers Age 50 years and above. For Toddy tapper pensions the verification should be confirmed whether the beneficiary is a registered member in the Co-Operative Society of Toddy Tappers. 5 Pension to persons with HIV-AIDS (ART pension) Who are undergoing Anti Retroviral Therapy (ART). In case of Hearing Impaired, the minimum disability should be 51% (as per G.O.Ms No. 31 dt. 01-12-2009). For Any information about ASARA SCHEME call on toll-free number: 18002001001.